Impairments and write-downs in the U.S. oil and gas industry were brought right back into focus by ExxonMobil’s admission in October 2016 that it might have to write-down the value of some of its E&P assets around the world. ExxonMobil, in what would be a significant change in accounting policy, may soon officially concede that 3.6 billion barrels of oil-sand reserves in Canada and one billion barrels of other North American reserves are currently not profitable to produce, according to the NY Times. 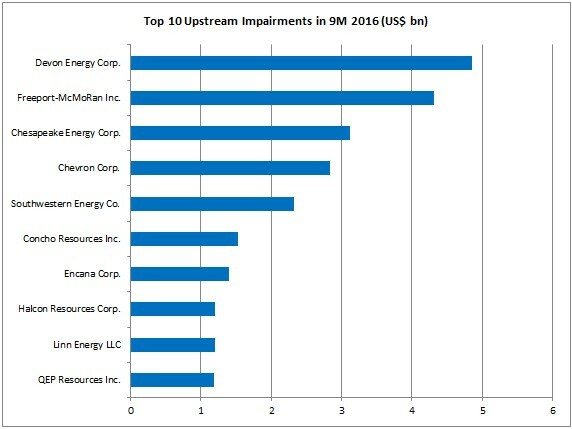 This would probably be the largest E&P impairment across the entire U.S. industry in 2016, but ExxonMobil would by no means be alone in declaring asset write-downs. Over the year so far, looking at the most recent year-to-date nine monthly results for U.S.-listed companies in Evaluate Energy, Devon Energy Corp. (NYSE:DVN) has recorded the largest single upstream impairment charge in its income statement at $4.9 billion. 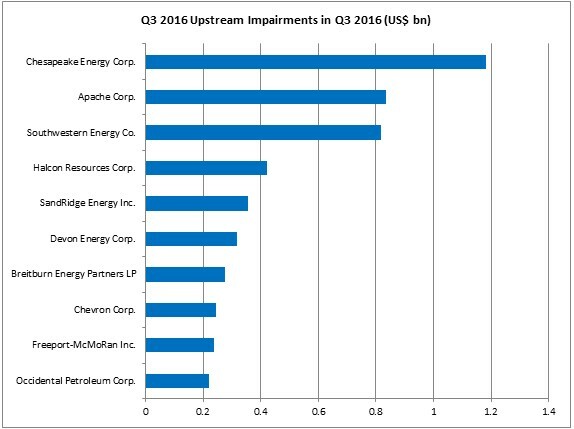 As for the three month Q3 period alone, the largest upstream impairment was Chesapeake Energy Corp.’s (NYSE:CKE) $1.2 billion charge on oil and gas properties and other fixed assets, which represented around 38% of its total 2016 impairment charges of $3.1 billion. While it did not have the largest actual figure relating to impairments, the largest impact of 9M 2016 impairments was felt by Halcon Resources Corp. (NYSE:HK). The company’s $1.2 billion impairment charge over the 9 month period – either side of bankruptcy proceedings – made up the biggest proportion (47%) of pre-impairment total assets at period end across the entire U.S. E&P space. Evaluate Energy covers the entire U.S. oil and gas space, with historical financial and operating performance coverage for every single U.S. listed oil and gas company with E&P or refinery interests. To find out more, please download our brochure. 1) Chevron’s impairment figure may include costs related to tax adjustments & environmental remediation provisions and severance accruals, as no breakdown of “Impairments and other charges – E&P” is reported. 2) The percentage fall in total assets for 9M 2016 is calculated by comparing 9M 2016 impairments with the total assets figure for 9M 2016 (pre-impairment charge). 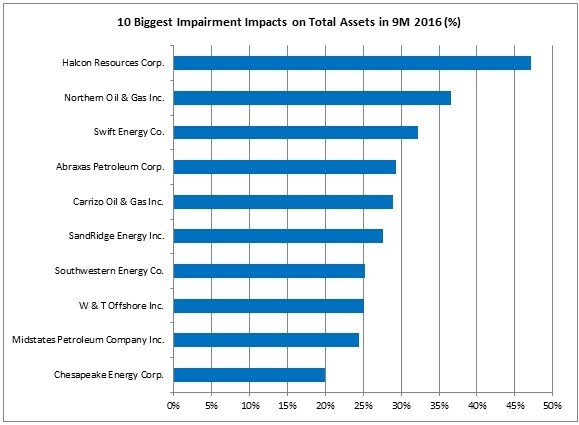 This gives an estimate of how big an impact the 9M 2016 impairments had on a company’s total assets at the end of the period, i.e. if it wasn’t for the impairments, Halcon’s total assets figure would have been around 47% higher. 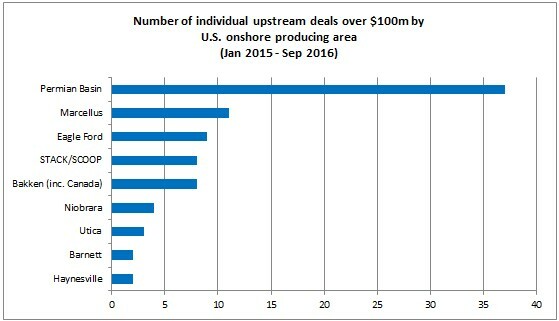 Up to the end of October 2016, there has been Cdn$10.1 billion spent in Canada on upstream assets in newly announced deals in 2016. It is now over a year since Suncor Energy Inc. (TSX:SU) began its Cdn$6.6 billion takeover approach for Canadian Oil Sands Ltd., which stands out as by far the biggest deal Canada has seen since the price downturn, but 2016’s activity has also been significant. Deals in the Montney areas of Alberta and British Columbia have made huge headlines, Saskatchewan assets have frequently changed hands for large sums and Suncor was not quite finished with the oilsands sector or the Syncrude project in particular after closing the Canadian Oil Sands deal. The top 10 deals announced in 2016 so far, up to and including deals announced on November 17, 2016, are listed below. 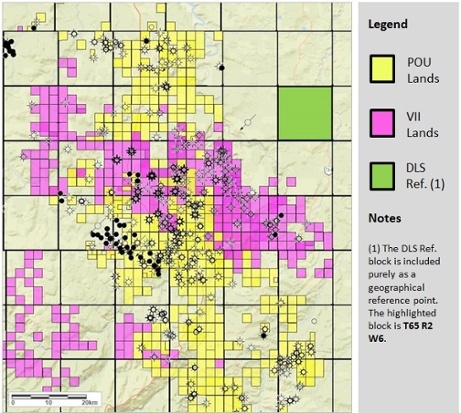 The biggest deal of 2016 so far saw Seven Generations Energy Ltd. (TSX:VII) acquire Montney production and lands from Paramount Resources Ltd. (TSX:POU) for Cdn$1.9 billion. The consideration will be made up of Cdn$475 million in cash, 33.5 million Seven Generations shares and the assumption of around Cdn$584 million of Paramount debt. By acquiring these assets, Seven Generations is boosting its portfolio with a further 199 million boe of 1P reserves, 30,000 boe/d of production in the company’s core Kakwa River area and 155 net sections of Montney land. The second biggest deal of 2016 so far was announced in October and sees Tourmaline Oil Corp. (TSX:TOU) acquire assets from Shell Canada for just under Cdn$1.4 billion. 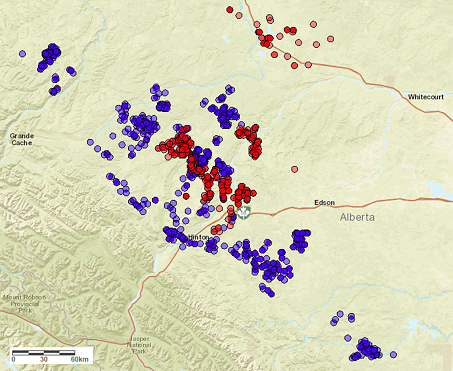 The assets are located in the BC Montney and the Alberta Deep Basin. The consideration is made up of Cdn$1 billion cash and the remainder in Tourmaline stock. The cash portion of the transaction will be funded through the company’s existing credit facilities and Cdn$739.4 million that will be raised in two equity financings; Tourmaline will look to raise Cdn$100 million via a prospectus offering and a further Cdn$639.4 million via a private placement. Teine Energy Ltd., with funds from its own existing credit facilities and significant financial backing from the Canada Pension Plan Investment Board, acquired Penn West Petroleum Ltd.’s (TSX:PWT) Dodsland Viking assets in Saskatchewan for C$975 million. This is the biggest deal outside of Alberta and British Columbia so far this year. Since Q4 2014, when the price downturn really began, Penn West has sold assets in deals worth a total of C$2.5 billion, all aimed at reducing total debt. This single C$975 million asset sale resulted in a markedly improved capital structure; Penn West now says that the company is in the top tier of its peers in terms of all significant debt metrics. Suncor Energy Inc. (TSX:SU), following the C$6.6 billion deal to acquire Canadian Oil Sands Ltd. at the start of 2016, increased its stake in Syncrude by a further 5% in June when it completed its C$937 million deal with Murphy Oil Corp. (NYSE:MUR). This now means that Suncor’s stake in the Syncrude project is 53.74%. Murphy Oil had been a participant in the Syncrude project for over 22 years. November 2016 has so far seen two significant deals with values of over Cdn$100 million in Saskatchewan. 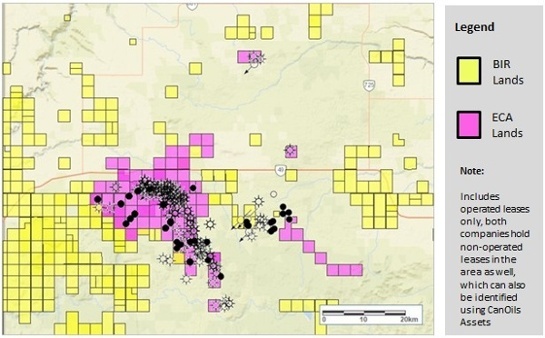 The larger of the two sees ARC Resources Ltd. (TSX:ARX) exit Saskatchewan entirely. Spartan Energy Corp. (TSX:SPE) is the acquirer of the assets, which are located in the southeast of the province and produce 7,500 boe/d (98% liquids). Encana Corp. (TSX:ECA), after making two asset sales of over C$1 billion in the United States in the latter half of 2015, has now completed a significant asset sale in Canada. Birchcliff Energy Ltd. (TSX:BIR) is the acquirer, in a Cdn$625 million deal for Encana’s wells and leases in the Gordondale area of Alberta. The assets (65% gas weighted) are located in the Peace River Arch region and the target formations are the Montney and Doig resource plays. In Saskatchewan’s second biggest deal of 2016 so far, Whitecap Resources Inc. (TSX:WCP) acquired assets in southwest Saskatchewan from Husky Energy Inc. (TSX:HSE) for C$595 million. The deal increased Whitecap’s production by 11,600 boe/d and also increased the company’s oil weighting by 3% to 79%, as the assets being acquired produce 98% oil and NGLs. A few months before it agreed to leave the Syncrude project behind in a deal with Suncor, Murphy Oil Corp. (NYSE:MUR) agreed a joint venture in the Montney and Duvernay shale plays with Athabasca Oil Corp. (TSX:ATH). The deal, worth Cdn$486 million in Murphy stock, cash and cost carries, sees the two companies join forces in the Greater Kaybob and Greater Placid areas. In the Greater Kaybob area, Murphy will take a 70% stake and operatorship to target the Duvernay shale play. In the Greater Placid area, Murphy will assume a 30% non-operated interest and the target is the Montney shale play. November’s other significant deal with a value of over $100 million in Saskatchewan involved Tamarack Valley Energy Ltd. (TSX:TVE) acquiring all the issued and outstanding stock of Spur Resources Ltd., a privately-held Viking oil focused company. The deal, worth Cdn$388 million including debt assumption, adds 6,250 boe/d (52% liquids) of low cost production to Tamarack Valley’s portfolio and an extensive drilling inventory of 695 net identified low-risk drilling locations with an average liquids weighting of approximately 70%. 2016 has seen a series of TSX-listed companies taken off the stock exchange via corporate acquisitions and become privately-held entities. The biggest acquisition involving purely Canadian assets to be announced during 2016 saw ARC Financial Corp. acquire Boulder Energy Ltd. for around Cdn$268 million including debt assumption. Boulder was only formed as an independent entity in May 2015, having been one of the two resultant companies in the reorganisation of Deethree Energy Ltd. While Granite Oil Corp. (TSX:GXO) was formed with Deethree’s South Alberta Bakken wells and gas injection EOR project, Boulder assumed Deethree’s dominant land position in the Pembina-Brazeau Belly River area of Alberta. Granite has far outperformed Boulder and, as of April 2016, is the only independent entity left from the Deethree reorganisation. For our full report history, click here. New data illustrates exactly how far the Permian basin is outstripping its rivals in terms of investor interest and deal flow. The stark reality is that M&A activity focused on the Permian has hit a total of almost $23 billion over the past 21 months – around $16 billion more than its nearest rival, according to our new Evaluate Energy data. This trend of high spends in the Permian basin is also highlighted in our latest Q3 M&A report – 33% of all upstream deals worldwide in Q3 focused upon the Permian basin alone. Find out more. And this is not because of one mega-deal skewing our data. On the contrary, there were 37 deals over the 21 month period with individual values of over $100million, demonstrating higher levels of confidence in the Permian as a long-term investment option over other U.S. onshore producing regions. 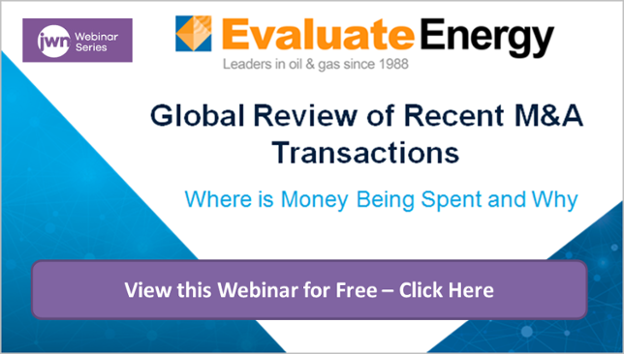 Source: Evaluate Energy M&A Database – To download our latest quarterly review of global M&A deals, which includes a detailed look at Q3 activity in the Permian basin, click here. This confidence in the Permian compared to other oil-heavy regions – and the Bakken in particular – is not only illustrated in M&A activity but also in how much companies are currently willing to invest in their own future. In Q2 2016, the internal financing gap – that is, the difference between capex and operating cash flow – was far greater for the Permian than all other oil-producing U.S. regions we examined in our latest study. Permian companies recorded an average financing gap per boe of $17/boe in Q2 2016, the highest regional average in the United States. This used to be how we’d describe the Bakken, but that picture has changed dramatically since commodity prices crashed; in Q2 2016, Bakken companies recorded a financing gap per boe of only $5/boe. 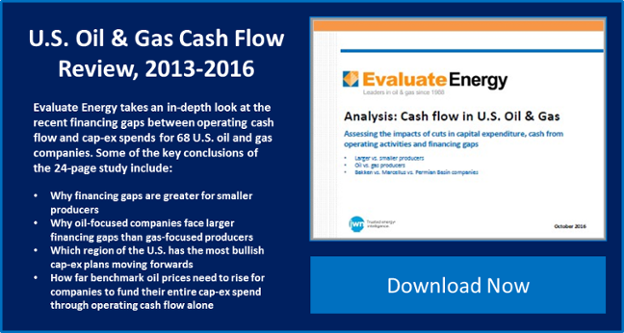 Source: Evaluate Energy U.S. Cash Flow Study 2016. See notes for details on calculations and company selection. The large financing gap in the Permian is driven primarily by extremely robust capex spends. For, while total spending has fallen in the Permian over time, it has done so at a dramatically slower rate than other U.S. oil producing areas. This tells us how confident the operators must be feeling. To reinforce this narrative, in our latest U.S. cash flow study, we used current financing gaps to calculate what oil producers across the country needed the benchmark WTI price to be in order to cover the entirety of their capex spends using only operating cash flow. 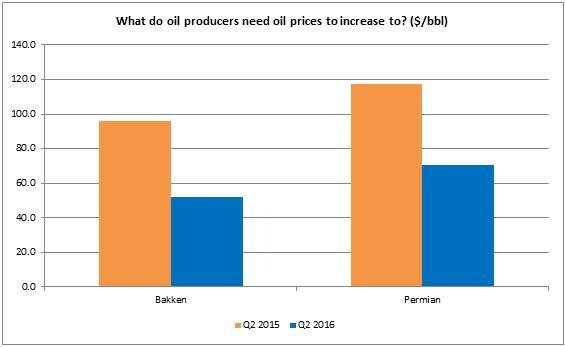 In the case of the Permian, the companies would need a $71 WTI price to do this in Q2 2016. For the Bakken, that price is only $52. In Q2 2016, WTI only averaged $44.86. Our latest cash flow study delves into this calculation in far greater detail. This figure should not be considered a break-even number, not least because capex spending is optional, for the most part. Rather, it’s a barometer of operators’ confidence in their own long-term prospects. Clearly, capex plans are lower and less bullish than a year before, as low prices continued to bite. But Permian operators are undoubtedly still displaying a greater level of confidence in being able to fund robust capex spends than their rivals. Company selection – In the U.S. Cash Flow Study referred to throughout this piece, we took 68 representative U.S. oil and gas producers for analysis. They were divided up into peer groups, depending on the size of their production and how much oil each company produced compared to natural gas. A handful of the 68 companies were also taken as representative of a specific region’s cash flow trends, because all or the overwhelming majority of the company’s operations was located in one particular area. Ten such companies were identified for the Permian Basin and six for the Bakken. The peer group named “All majority oil producers” included both of these regional groups, as well as every other company in the overall group of 68 that produced more oil than it did gas (i.e. over 50%) in Q2 2016. The financing gap was calculated by subtracting operating cash flow (including the non-cash effect of changes in working capital) from total capital expenditures. 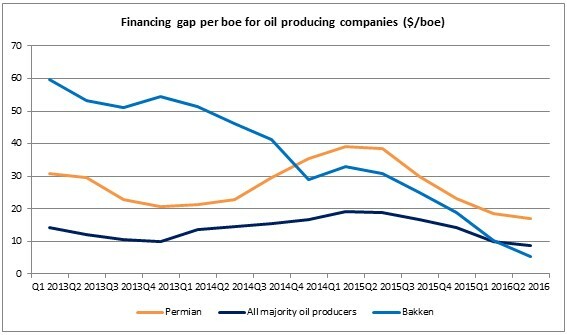 Financing gap per boe was calculated by taking this figure for all relevant companies and dividing it by the total volume of oil and gas produced over the requisite timeframe, to aid comparability across different regions, regardless of overall production size. The figures are all calculated on a rolling 12 month basis, i.e. each quarterly figure is the average financing gap per boe over the previous 12 months. This method of calculation diminishes the likelihood of anomalous quarters for individual companies within a peer group skewing the data set. The WTI price required for operating cash flow to cover the entirety of capex spending was calculated assuming that the only changing variable was the WTI price itself, i.e. all items such as spending, costs, gas prices etc. remained constant. Analysis in CanOils’ latest monthly M&A review suggests that the pressure on Canada’s E&P sector to raise external financing to meet capital commitments would appear to be alleviating somewhat, based upon much lower M&A activity levels in September. A more secure footing for oil prices, coupled with asset portfolios that are now generally better equipped to see out the price downturn, are the main factors we think contributed to this reduced deal flow. 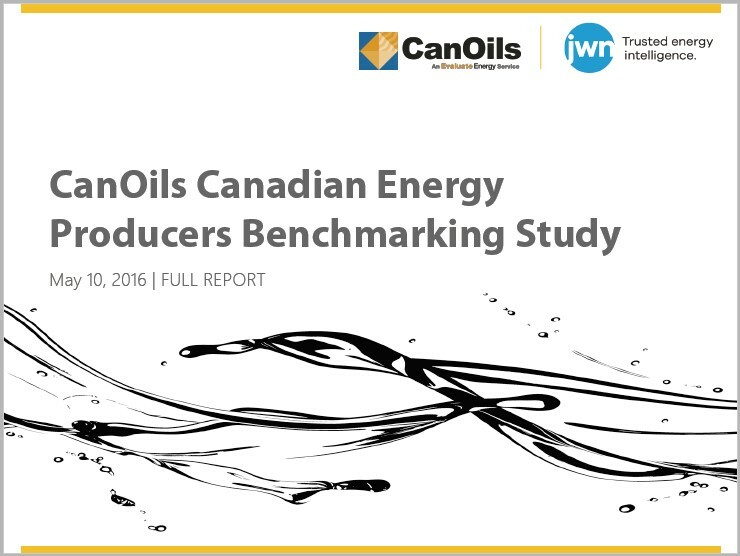 This month, the value of announced M&A deals in the Canadian E&P sector totalled Cdn$165 million, according to our latest CanOils monthly report, which can be downloaded here. This value stands significantly below the Cdn$1.1 billion monthly average in 2016 to date, and considerably below the Cdn$2.2 billion monthly deal value in Canada since the price downturn. Despite the low activity, interesting trends continue to stand out, most notably activity related to Canada’s private oil and gas companies. InPlay Oil Corp. was the headline maker this month, agreeing two deals with TSX-listed companies aimed at creating a Pembina-Cardium focused producer in west central Alberta. These deals are featured heavily in this month’s report, along with the completed deals to take both Bankers Petroleum Ltd. and Yoho Resources Inc. into private hands. The report also provides insight into Alberta’s privately-held junior producers, namely companies that produce between 1,000 and 10,000 boe/d. At the end of August 2016, there were 44 privately-held companies that operated this level of production in Alberta. 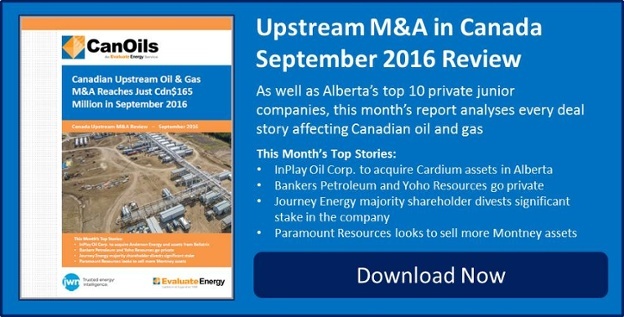 For more on these private junior companies, as well as analysis on every deal story impacting the Canadian E&P sector in September, download the report here. The opening seven months of 2016 have brought a revival in the Canadian E&P space following an extremely lacklustre end to 2015, when very few deals were agreed in light of an uncertain and inhibitive pricing environment. 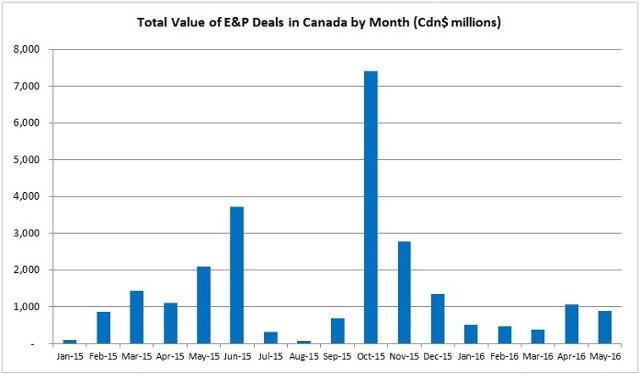 In CanOils latest monthly review of deals in the Canadian E&P space, the largest single deal of the year so far is featured – the full report can be downloaded at this link. The consideration of Cdn$1.9 billion will be made up of Cdn$475 million in cash, 33.5 million Seven Generation shares and the assumption of around Cdn$584 million of Paramount debt. By acquiring these assets, Seven Generations is boosting its portfolio with a further 199 million boe of 1P reserves, 30,000 boe/d of production in the company’s core Kakwa River area and 155 net sections of Montney land. Teine Energy Ltd., with funds from its own existing credit facilities and significant financial backing from the Canada Pension Plan Investment Board, acquired Penn West Petroleum Ltd.’s (TSX:PWT) Dodsland Viking assets in Saskatchewan for Cdn$975 million. Since Q4 2014, when the price downturn really began, Penn West has sold assets in deals worth a total of Cdn$2.5 billion, all aimed at reducing total debt. This single Cdn$975 million asset sale results in a markedly improved capital structure; Penn West now says that the company is in the top tier of its peers in terms of all significant debt metrics. Suncor Energy Inc. (TSX:SU), following the Cdn$6.6 billion deal to acquire Canadian Oil Sands Ltd. at the start of 2016, increased its stake in Syncrude by a further 5% in June when it completed its Cdn$937 million deal with Murphy Oil Corp. (NYSE:MUR). This now means that Suncor’s stake in the Syncrude project is 53.74%. Murphy Oil had been a participant in the Syncrude project for over 22 years. Encana Corp. (TSX:ECA), after making two asset sales of over Cdn$1 billion in the United States in the latter half of 2015, has now completed a significant asset sale in Canada. Birchcliff Energy Ltd. (TSX:BIR) is the acquirer and has parted with Cdn$625 million for Encana’s wells and leases in the Gordondale area of Alberta. 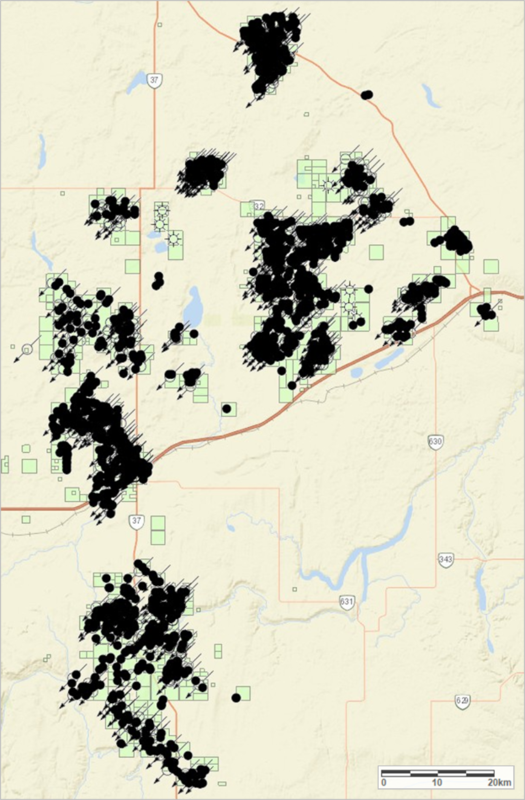 The assets (65% gas weighted) are located in the Peace River Arch region and the target formations are the Montney and Doig resource plays. 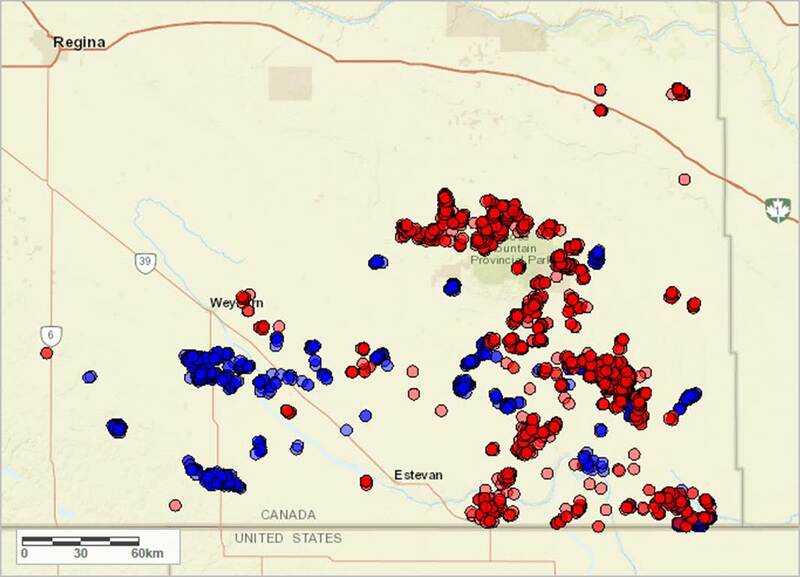 Source: CanOils Monthly M&A Review, July 2016 – Click Here for Map Legend of wells – These leases are located just south of Pouce Coupe on the AB/BC Border. Whitecap Resources Inc. (TSX:WCP) acquired assets in southeast Saskatchewan from Husky Energy Inc. (TSX:HSE) for Cdn$595 million. The deal increased Whitecap’s production by 11,600 boe/d and also increased the company’s oil weighting by 3% to 79%, as the assets being acquired produce 98% oil and NGLs. 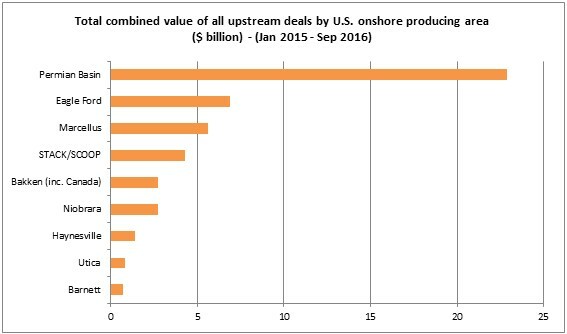 In June 2016, the total value of announced M&A deals in the Canadian E&P sector totalled Cdn$2.7 billion, according to CanOils’ new report that looks at all upstream deals involving Canadian E&P companies in June. This resurgence in value comes on the back of an upward trending WTI oil price that surpassed US$50 per barrel during the month. 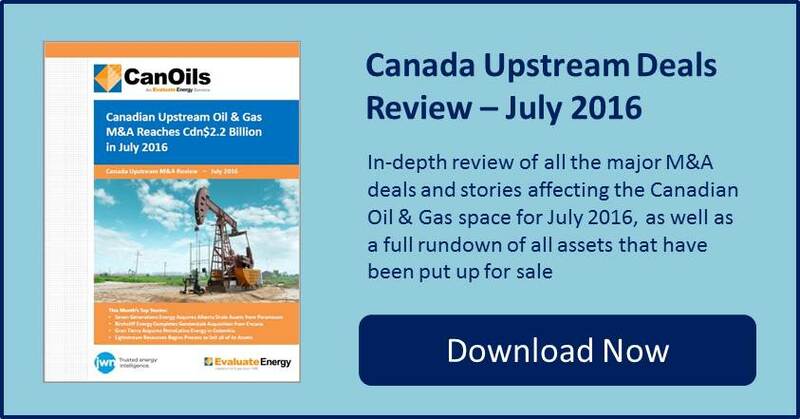 Despite the fact that June saw Canada’s biggest upstream deal in the first six months of 2016, the overall deal value of Cdn$2.7 billion was widely dispersed; there were seven deals during the month for over Cdn$100 million in value. For context, the last time this number was reached during a calendar month was in September 2014, which was a time before OPEC stopped supporting the oil price and oil was trading for over US$90 per barrel. 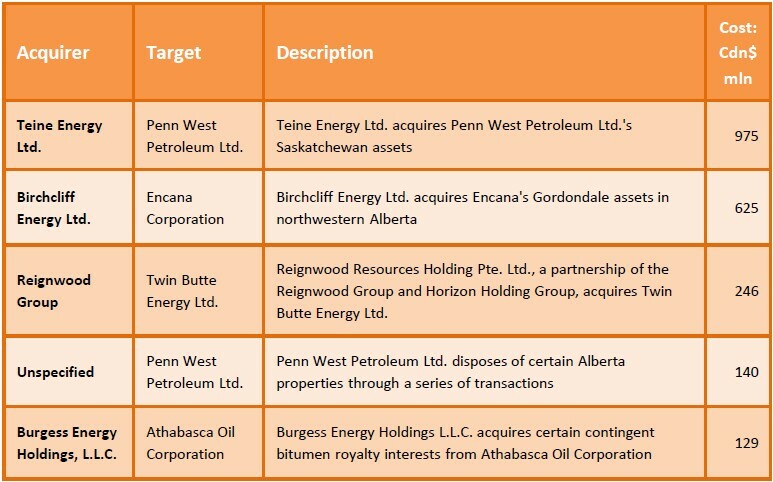 Penn West Petroleum Ltd.’s (TSX:PWT) sale in Saskatchewan was the biggest deal to be agreed for Canadian assets in the first six months of 2016 and was a continuation of the trend of private equity backed companies making large acquisitions in recent times. Teine Energy Ltd, the acquirer in the deal, is funding the deal through its own credit facilities and also through significant backing from the Canada Pension Plan Investment Board. Encana’s (TSX:ECA) deal to sell some northwestern Alberta assets follows two major asset sales by the company in the U.S. as the company looks to streamline its portfolio, while Athabasca Oil Corp. (TSX:ATH) fresh off closing its merger in the Duvernay and Montney shale plays with Murphy Oil Corp. (NYSE:MUR) last month, has become the latest of many Canadian E&P companies to make a royalty sale. 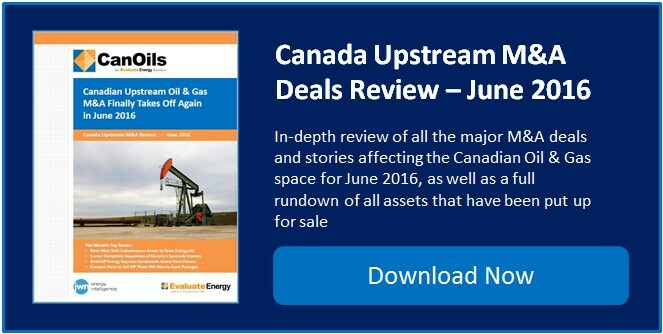 Full analysis of all the deals listed here and every other deal story involving a Canadian E&P company in June 2016 is available in the report, along with a detailed look at every asset put up for sale in a public listing. If I had to lay odds on which E&P powerhouse is going to secure the sector’s next major corporate acquisition I’d start by examining their ability to absorb substantial levels of debt while still keeping debt-to-capital ratios in balance. Sightings of large corporate mergers have been rare during the commodity price downturn. 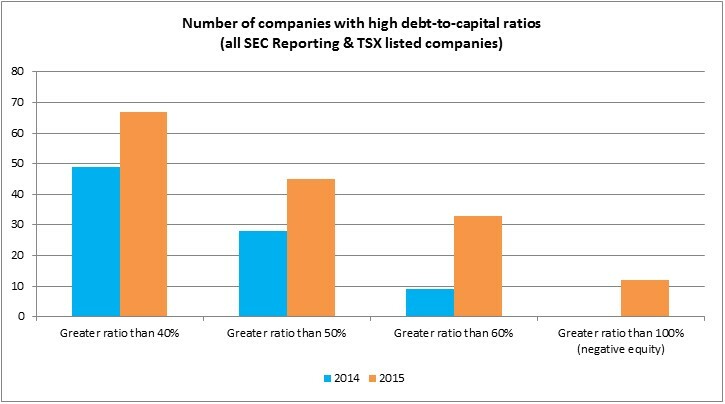 During that time, the number of companies with high debt-to-capital ratios has soared. To help understand which oil giants have the financial clout to pull together a major M&A deal, we’ve shortlisted those with the greatest ability to assume debt and remain “healthy”. By assigning an arbitrary debt-to-capital ratio of 35% as “healthy” you can see which companies are currently able to assume the most extra net debt for a corporate acquisition either in Canada or internationally, and still keep debt levels in check. For example, Tourmaline Oil Corp. (TSX:TOU) would be able to assume Cdn$799 million extra net debt in any acquisition in this model, based on its Q1 2016 balance sheet, before its debt-to-capital ratio exceeded 35%. Of course, this doesn’t necessarily mean these companies will seek a merger deal. But if they do, they’ll have plenty of capacity for additional debt assumption. More details on this can be found in the webinar I delivered last week, which can be viewed here. Why is debt important to consider NOW? In 2015, debt was a much greater proportion of their entire capital structure than 2014. That’s hardly a major surprise given the downturn. Some companies even moved into a negative equity position in 2015, as pressures from a longer period of low commodity prices mounted. The highest profile global corporate merger during the downturn was undoubtedly Royal Dutch Shell’s (LSE:RDSA) acquisition of BG Group for around US$81 billion. In Canada, it was Suncor Energy’s (TSX:SU) Cdn$6.6 billion acquisition of Canadian Oil Sands Ltd. (COS) to become the largest stakeholder in the Syncrude project. Both deals had a lot in common: a large issuance of stock in the acquiring company to the target, as well as the assumption of significant debt. Royal Dutch Shell, as well as 383 UK pence per share, offered 0.4454 B shares in the company to BG, and took on just shy of US$10 billion in debt according to BG’s annual 2015 statements. Suncor issued 0.28 shares in the company to COS in consideration for the acquisition and also assumed Cdn$2.4 billion in debt, according to press announcements. 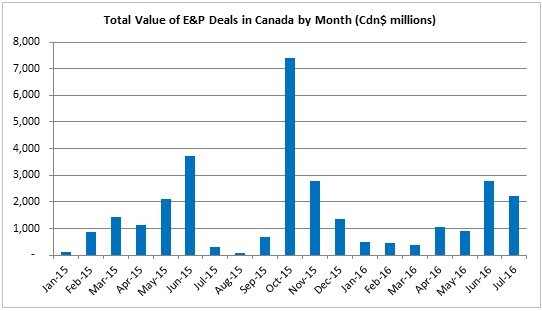 June 2016 has also seen a couple more deals in Canada that follow this debt assumption pattern. Raging River Exploration Inc. (TSX:RRX) has agreed to acquire Rock Energy Inc. (TSX:RE) in a deal where debt assumption of Cdn$67 million makes up 61% of the total deal consideration. It’s this ability to assume debt and still remain healthy that we think is crucial in identifying those most likely to take on a big corporate merger in the near future. Both Suncor and Royal Dutch Shell appear in our above list of companies with high debt capacity. Suncor has been linked to more acquisition activity in press reports, while Shell has not – having actually been linked with more asset sales than purchases. In fact, rumours came out of the company that Shell assets were going to hit the market in ten countries worldwide in the not-too-distant future. Of the other companies listed with greatest debt capacity, many have been selling high-value royalty assets in Canada to bolster their activities with significant cash through the downturn, while the international list includes some of the world’s biggest and most powerful companies. With companies also having put copious funding into cost controls in recent times and oil prices starting to trend upwards a bit, we might just be around the corner from one of the companies on this list making the world’s next big corporate merger in the E&P sector and we should expect it to include the significant assumption of debt. 1) To value all acquisitions where stock is used as part of the consideration, Evaluate Energy and CanOils always use the day prior share price. Sometimes companies use a deemed stock value or a weighted average price in their press announcements to value the stock, but for comparability reasons, we always use the same method for every deal. This may create some slight discrepancies between our data and announced deal values. Gear valued its acquisition of Striker based on its concurrent bought deal financing, rather than its trading share price, and reported a value of Cdn$63.7 million. Chief executives at three of the top four UK oil and gas producers have publicly backed the campaign to keep the UK within the European Union. CEOs at Anglo-Dutch Royal Dutch Shell, BP Plc. and France’s Total showed their public support for the Remain campaign earlier this week. They featured in media outlets in a list of 1,280 prominent business leaders urging the British public not to “Brexit”, together with executives from Centrica plc and smaller producers active in the UK such as EnQuest plc, ENGIE, MOL and BHP Billiton. 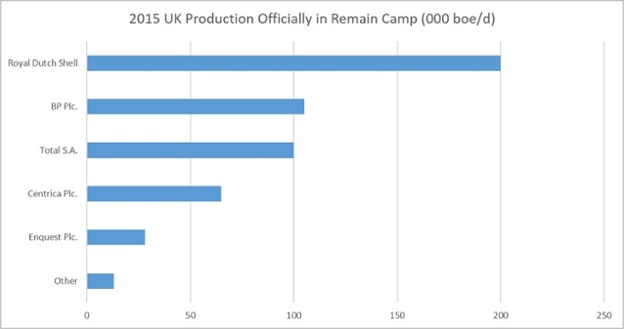 Combined, the energy executives on the list of Remain supporters control approximately 510,000 boe/d of UK North Sea production. Speculation has been rife from campaigners on both sides of the EU debate over the geopolitical and economic consequences should the UK “Brexit.” The value of the GBP pound has fluctuated significantly in recent times on the back of referendum campaign messaging (much of it negative in nature), as well as speculation over the economy post-referendum and opinion polls showing how tight the vote could be. Royal Dutch Shell reported 103,000 boe/d itself and then assumed 97,000 boe/d in its acquisition of BG Group Plc, which closed post-year end, resulting in its estimated total of 200,000 boe/d in the above chart. China’s CNOOC Ltd., the second biggest producer on the list after its 2013 acquisition of Nexen Inc., was not represented in the list of 1280 companies, but it’s stance on the UK referendum is unknown. 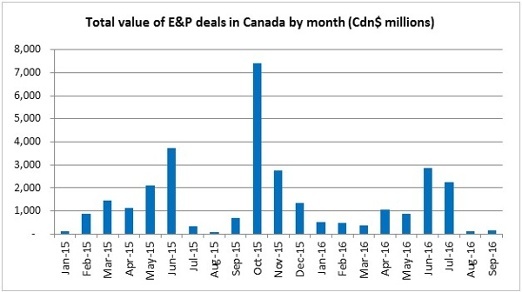 Data from CanOils’ latest M&A report shows that the total value of announced M&A deals in the Canadian E&P sector totalled Cdn$880 million in May 2016. The report is available for download now. Although this value falls short of the average monthly deal aggregate of Cdn$1.5 billion since the price downturn began, what bodes well is that this month’s total is spread across a few deals worth over Cdn$50 million as opposed to previous months where one large deal often dominated the total. Notable deals this month include Husky Energy Inc.’s (TSX:HSE) disposal of Saskatchewan assets to Whitecap Resources Inc. (TSX:WCP) and royalty assets to Freehold Royalties Ltd. (TSX:FRU) and Spartan Energy Corp.’s (TSX-V:SPE) acquisition of privately-held Wyatt Oil + Gas Inc.. 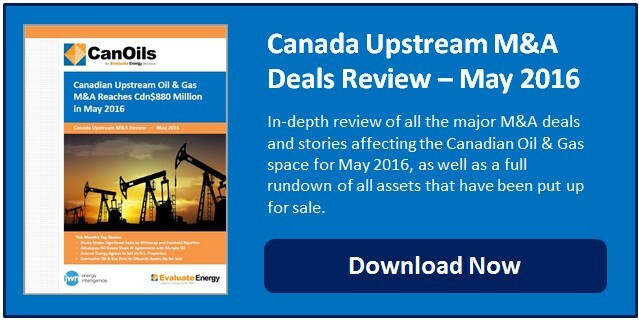 This new M&A report delves into every deal story involving a Canadian oil and gas company in May 2016, using data from the entire CanOils database. Husky Energy Inc. made the most headlines in the Canadian M&A space this month, agreeing the two biggest deals of the month. Whitecap Resources Inc. will acquire assets in southeast Saskatchewan for Cdn$595 million, while Freehold Royalties has completed the Cdn$165 million acquisition of some royalty production in Saskatchewan and the Deep Basin. Both of these deals are analysed in detail in the new CanOils monthly M&A review for May 2016. Murphy Oil completes joint venture arrangement with Athabasca Oil Corp.